Myrna Whitehead stands near her husband, Paul W. Whitehead at their home in East Brainerd. Whitehead has contributed to neediest cases for more than 20 years now. Latest Neediest Cases donors list. Parkinson's disease leaves 83-year-old Paul Whitehead shaking so badly he can hardly get out of bed, but the retired plumber continues a two-decade-long tradition of giving to Neediest Cases. Every year his wife sends a check to the fund in his honor or in honor of their family members. "It always makes him happy," said Myrna Whitehead. The Whiteheads are among hundreds of Chattanooga Times Free Press readers making financial contributions to the newspaper's Neediest Cases fund. The fund contributed more than $47,000 to 300 area families in 2014. The late Chattanooga Times publisher Adolph Ochs started the fund in 1914. Contributions this year went to an 84-year-old senior to get her electricity reconnected, to a construction worker for rent after he suffered a brain tumor that prevented him from working, and to help a man get epilepsy medication. The fund helped a teenager travel to Nashville for cancer treatments and provided rent to keep a single mom with four children from eviction. It helped a grandmother move from a bedbug-infested room to a new apartment that she enjoyed for four months before dying of a heart attack. "I still remember her clapping," said Shameca Burt, recalling her mother's reaction to the new apartment. "She was so happy." A former Superior Creek Lodge resident was so grateful to get assistance from Neediest Cases and other churches and charities that helped him and 1,500 other displaced Superior Creek residents find housing that he decided to contribute this year, too. "I will consider it more than a responsibility, but an honor to aid in any way I am enabled to do so," former Superior Creek resident Gerard Leo wrote in an emailed statement. The Whitehead family started contributing to Neediest Cases around 1994 after Paul retired from a 42-year career as a plumber at DuPont. After retirement he volunteered with the geriatric division of the Department of Family and Children's Services by doing free plumbing and carpentry work, such as building wheelchair ramps and installing rails for elderly residents. 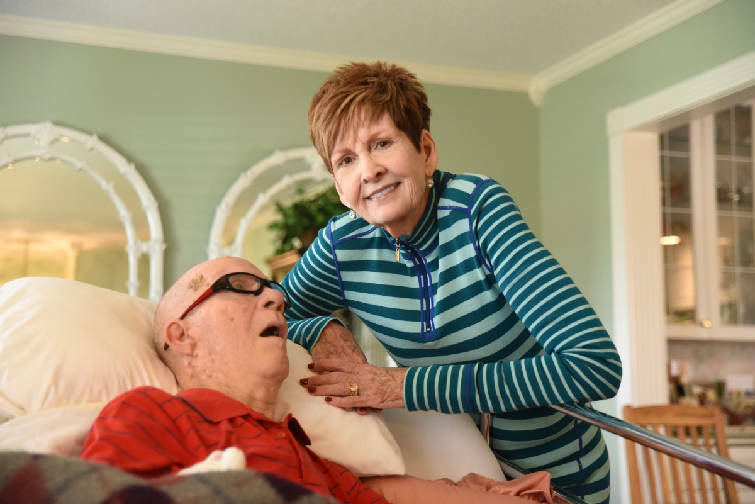 The couple previously donated in the names of their parents and children, but now that her husband is mostly bedridden, Myrna Whitehead said, she donates in honor of him. "Helping people in need," said his wife. "That's just one of his things."